The premier dental clinic in Charlotte for all your dental needs. From general dentistry to teeth whitening, we do it all! "Burley Dentistry be my dentist for as long as I live in Charlotte. I highly recommend!" "Dr. Burley and her staff are amazing and make you feel right at home. :)"
"I have full confidence in Burley Dentistry to provide me with top notch dental care. " Erika Burley, DMD, is a general and cosmetic dentistry specialist who is passionate about improving the dental health of every patient who seeks her care. At Burley Cosmetic Dentistry in Charlotte, North Carolina, Dr. Burley goes beyond mere cleanings and restorative work — she educates patients on how to take control of their own dental wellness. From fillings to dental implants and everything in between, Dr. Burley has the skill and experience to help you make the most of your smile. Dr. Burley began her education at Boston University, where she earned a Bachelor’s degree in Liberal Arts. She went on to study dentistry at Southern Illinois University School of Dental Medicine, followed by a residency in general dentistry at Ralph H. Johnson VA Hospital in Charleston, South Carolina. She also completed a partial periodontal residency at the Medical University of South Carolina. Dr. Burley further refined her skills as an associate dentist for more than three years before going into private practice. She opened her doors in 2003 and moved her expanding practice to their current location in 2008. A deep commitment to continuing education is a cornerstone of Dr. Burley’s dental practice. She continuously seeks new opportunities to expand her skill set, completing 100 hours of continuing education each year. Because of these efforts, Dr. Burley is able to offer cutting-edge dental services using state-of-the-art technology. Among Dr. Burley’s extensive professional recognition is a place in the Top 15 Dentists of the Year in 2015. She was also awarded the Woman of the Year Award from Zeta Phi Beta Sorority for her community service. Dr. Burley is the president of Charlotte Dental Society. 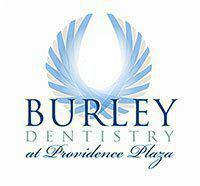 At Burley Cosmetic Dentistry, patients have access to a wide range of services provided by Dr. Burley. Preventive and restorative care is a great place to begin, but many men and women choose to improve their smiles through the many cosmetic dentistry options that Dr. Burley offers. Her work in dental veneers and dental implants bring in many new referral patients who want to achieve the smiles they see on their friends or family. If you’re looking for a dentist who takes the time to create an individualized treatment plan for each and every patient, and who offers the full scope of preventive, restorative, and cosmetic dentistry, schedule a consultation with Burley Cosmetic Dentistry today. Burley Dentistry accepts most major insurance plans. Please contact our office if you do not see your insurance plan listed. "Dr. Burley and her team deserve 5 stars and beyond. I appreciate you all for keeping my teeth healthy." "If you need a dentist who offers excellent service, I highly recommend Dr. Burley." "Dr. Burley and her staff are both incredibly nice and extremely accommodating."